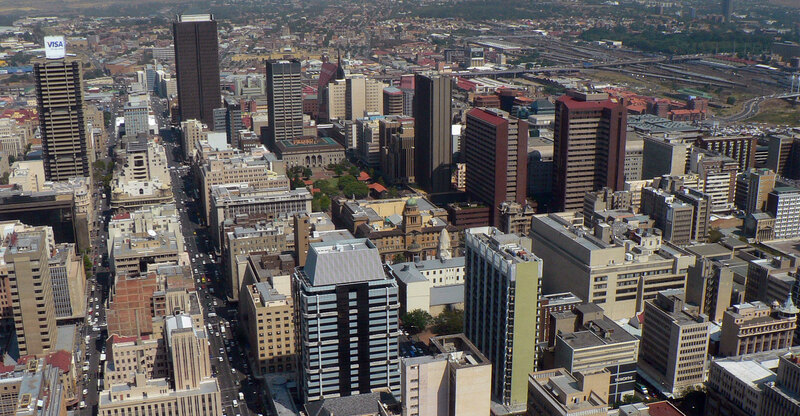 Johannesburg’s new mayor, Herman Mashaba, said that international aid agencies must help to care for undocumented foreigners that he plans to evict from inner city buildings in a bid to attract private investment to rebuild South Africa’s economic hub. Mashaba, 57, said he’s planning to use “shock and awe” tactics to drive out occupants living illegally in some of Johannesburg’s buildings, despite warnings by human rights activists and legal experts that his plans are unconstitutional. Because the municipal administration doesn’t have the resources to look after those who are evicted, the national and provincial governments as well as the United Nations and international aid agencies will have to step in and provide accommodation, he said. The city’s plans include the use of “overwhelming power and spectacular display of force to paralyse the enemy’s perception of the battlefield and destroy its will to fight,” according to the document seen by Bloomberg News prepared by the city’s Regulatory, Compliance and Special Investigations unit and reported on earlier this year. The issue is non-negotiable, Mashaba said. A former cosmetics entrepreneur, Mashaba became mayor when his opposition Democratic Alliance aligned with small parties to take control of Johannesburg from the ANC in a municipal vote in August last year. He’s targeted a housing crisis that he says has been compounded by the influx of both migrants from other parts of country and undocumented foreigners moving to South Africa to look for better economic opportunities. Mashaba’s figures have been challenged by organisations such as the Socio-Economic Rights Institute that protect the rights of poor people who get evicted from inner city buildings. “In our experience in the buildings we work in defending people against eviction, the statistics are the other way around: about 80% South African and about 20% foreign nationals,” the institute’s executive director, Stuart Wilson, said Monday by phone. He described Mashaba’s statements as “xenophobic” and said his plans can’t be implemented because they’re illegal. South Africa’s constitution requires that housing must be provided for everyone in the country, not just its citizens. “The wholesale eviction of poor people from inner city buildings is not a plan that can be legally carried out without court oversight and without giving alternative accommodation to people who would otherwise be rendered homeless,” he said. Anti-immigrant sentiment has run high at times in South Africa. Attacks on foreigners in 2008 claimed as many as 60 lives nationwide, and another seven were killed when violence flared two years ago. Residents of a southern Johannesburg suburb in February set fire to at least a dozen houses that they said were used as drug dens or brothels and were mostly occupied by foreigners. Mashaba said he won’t begin forcible evictions until private companies show interest in developing the properties. Invitations will go out before the end of October for companies to come up with proposals to restore dilapidated buildings in the inner city and develop and run modern skyscrapers, he said. Mr. Stuart, why don’t you look after those illigal immigrants if you really do feel sorry for them? Why must my tax money be spent on those guys? I don’t own them a dime! Go for it Mr. Mashaba, I support you all the way! !